JERZY DROZD mantains an exquisite relationship with each one of its clients. When you address our Client Services for the first time, we will send you our JERZY DROZD Consultation form to introduce yourself and make your needs known. 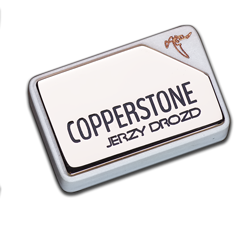 All consultations, acquisitions and orders to JERZY DROZD are handled directly through e-mail. In this way, every requirement of our clients can be recorded with exacting detail in order to give them our most complete and accurate attention. There is, therefore, no need to make an appointment, but if you need to make an appointment, follow the steps below. Visits to The Castle are always arrange individually and by prior appointment only. If you are not already one of our clients, our JERZY DROZD Client Adviser will send you the WELCOME TO JERZY DROZD document, where you can enter your personal data, allowing us to give you our best personalized attention. Then, you will be asked to come to this page of JERZY DROZD site where you can make the payment for the visit and obtain access to "YOUR VISIT TO THE CASTLE" form. The visit payment will be deducted from the price of a JERZY DROZD Creation ordered or acquired over twelve months following your visit. Complete the application and forward it to your JERZY DROZD Adviser. He will schedule and confirm your appointment. Please send "YOUR VISIT TO THE CASTLE" application to your JERZY DROZD Adviser with sufficient time to schedule your visit properly.